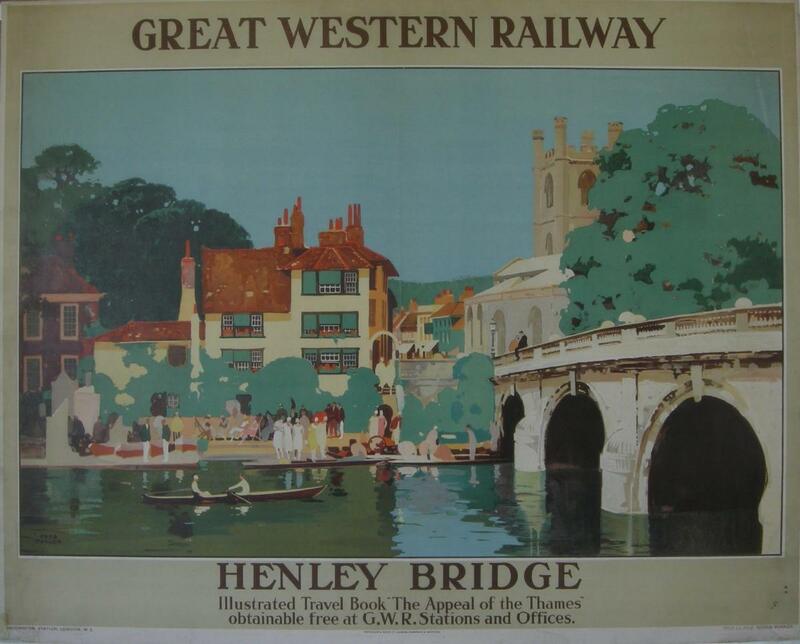 Framed Great Western Railway poster - 'Henley Bridge' c1925. Advertising the 'Illustrated Travel Book "The Appeal of the Thames" / obtainable free at G.W.R. Stations and Offices'.